The Ashrama conducts a free Coaching Centre in its premises since 1997 for academically deficient school students coming from very poor families of the town. These poor school going students are provided with free study materials and school uniforms also by the Ashrama. 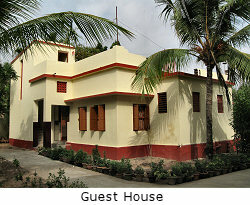 The Ashrama maintains a free coaching & midday meal centre for both boys and girls at a rural pocket away from the town. 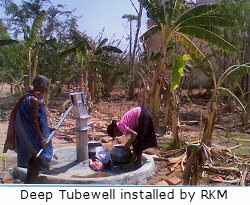 Apart from this, the Ashrama also maintains six free coaching centres at some other villages. This year we distributed Rs.500/- each to 46 local school going poor & meritorious students from Holy Mother Memorial Scholarship Fund. A tailoring training centre for women is run at Tikatal, Khurda District where poor and needy families have been provided with sewing machines and are given lessons in tailoring by experts by which they can be self sufficient in earning their living. The Ashrama has been providing free rice to the poorest people, preferably old and disabled persons, of this town since 2001. 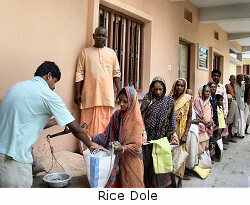 Uncared men and women come to the Ashrama every Saturday to receive their quota of rice. We have given monetary help to several poor and deserving people for purchasing medicines, clothings, and other necessities. Considering urge of devotees for visiting the holy shrine of Lord Jagannath from all over India, we maintain a Guest House with moderate facilities principally for initiated devotees of our Order. 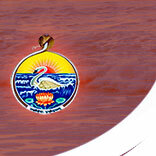 Devotees seeking accommodation here may contact us through letter, email or telephone during office hours only. A reference from the Secretary of any of the centres of the Order is required. Keeping in view the demand for accomodation in the holy place of Lord Jagannath, especially on occasions like Ratha Yatra, it is advised that devotees seek accommodation well beforehand.